We are engaged in manufacturing, supplying and exporting of a precision engineered range of Pre Mixer Powder Coating Machine that is manufactured using advanced production techniques. Extensively used in powder coating industry for various applications, these are widely appreciated for their precise functioning, optimum performance and longer services life. 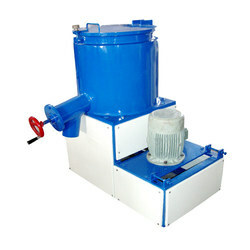 We offer Pre Mixer to our clients, it is a heavy duty, high speed Dispersion Mixer with Stainless Steel Vessel and Blades designed for fast and perfect mixing & easy of cleaning is essential for rapid color changing. Looking for Pre Mixer Powder Coating Machine Plant ?